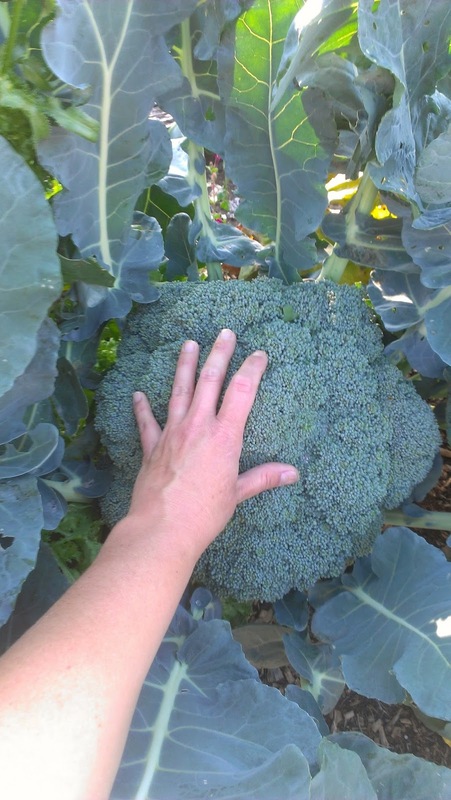 I have to give a shout-out to this broccoli. After several years of bitter broccoli, I have finally found one we love. This kind is called Atlantic Broccoli. Look at the size of those heads! The description said that it grew fast and had heavy side shoots. In my opinion it grew about the same as any other broccoli I have planted, but it was much bigger and didn't get bitter even when the temps went up. 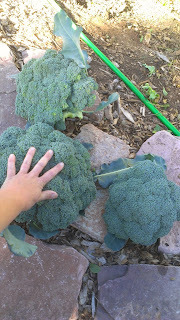 We don't eat a lot of broccoli, so these three heads should be enough to last us the year. I soaked the florets in salt water to detach any worms. Out of all of this I only had 2! It's the soil and the wood chips I tell ya! Since I am a lazy busy homesteader, I freeze them the shortcut way, no blanching. The best way to cook unblanched, frozen vegetables is to stir fry. Not a problem, they should go great with all my sugar snap peas I froze.